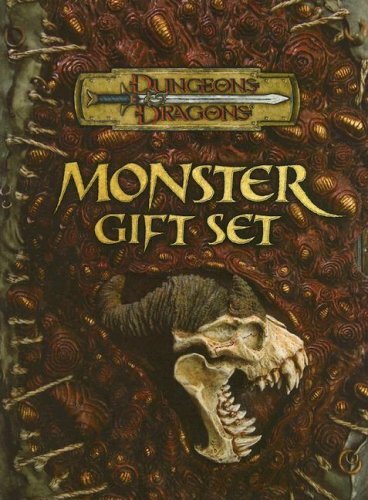 Monster Gift Set collects three popular monster supplements–Fiend Folio™, Monster Manual II™, and Monster Manual III™. This product collects three popular D&D® supplements–Fiend Folio™, Monster Manual II™, and Monster Manual III™–into one handsome package, complete with attractive yet durable slip case. This collection gives Dungeon Masters a horde of monsters to challenge players of the Dungeons & Dragons® game. The monsters contained herein are suitable for any D&D® campaign.